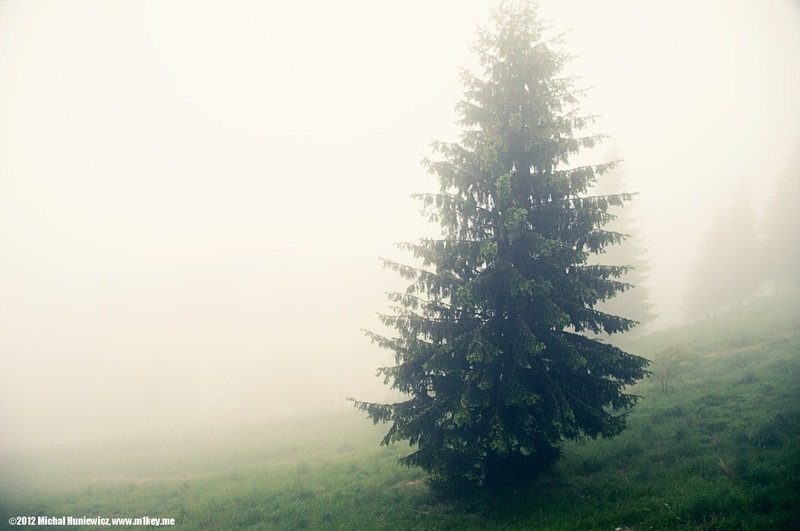 Transylvania, the land beyond the forest, is a historical region of Romania. 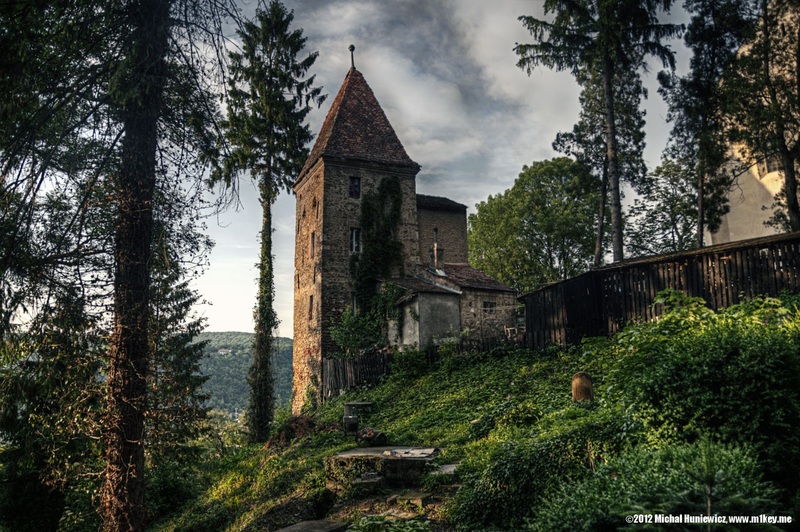 You know about Transylvania thanks to countless vampire stories, but the locals will never waste an opportunity to remind you those stories are not true. Or are they? 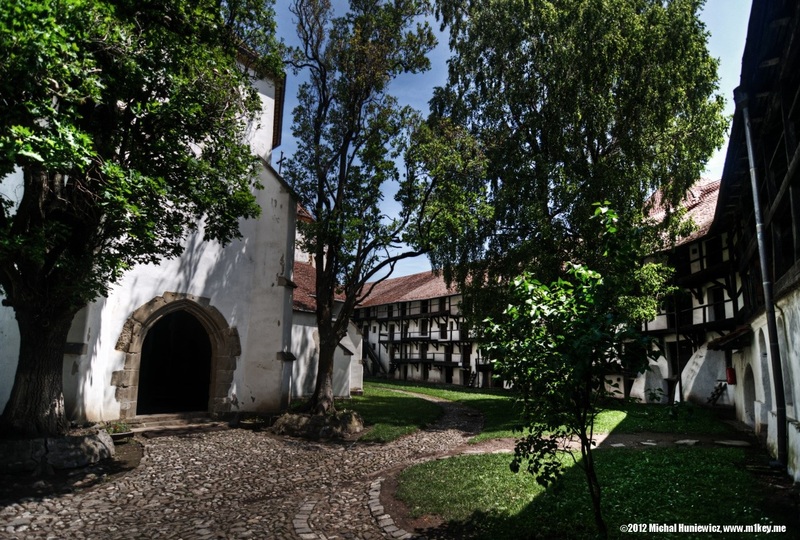 In this gallery I will tell you a bit about the complicated history of Transylvania and the whole of Romania, as well as the legends, and where they come from. This is the Clock Tower in Sighişoara. 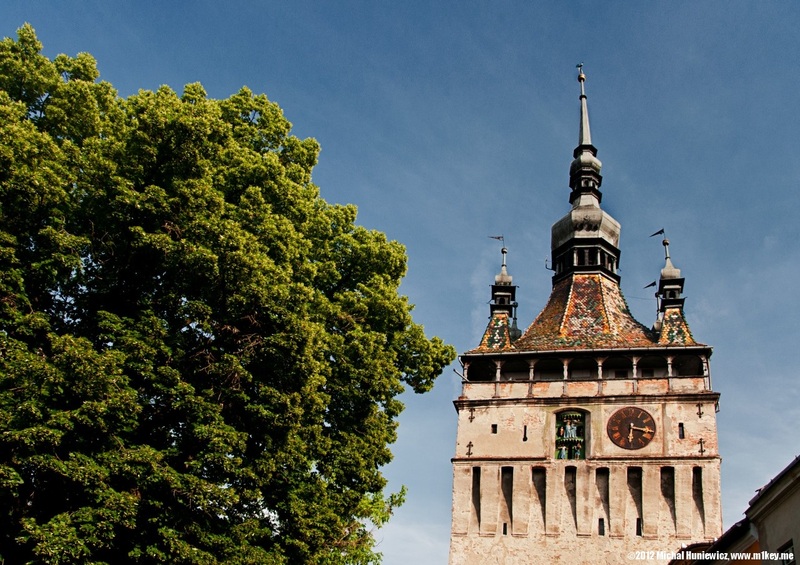 Sighişoara is a Saxon fortress town; hundreds of years ago it was a wealthy merchant town trading with Poland and Constantinople, and that was when the famous Vlad Țepeș aka Vlad III Dracula was born. Centuries later, through literature, he would become the familiar vampire with pointed teeth and pale skin. During his lifetime however he was not thought to be a vampire; he was a cruel ruler (of Wallachia and not Transylvania), who probably impaled thousands of people (it is difficult to estimate how many exactly). Ask any Romanian though, and they will immediately (and often emotionally) explain that not only was he not a vampire, but a harsh yet just leader, father to his people - that is because they believe he was able to deal with corruption, a quality wanting in current Romanian leaders. If you take a cool look though, he was a mass-murderer and, perhaps more importantly, a very inefficient politician. He gambled, lost, got his domain into big trouble, and then died. 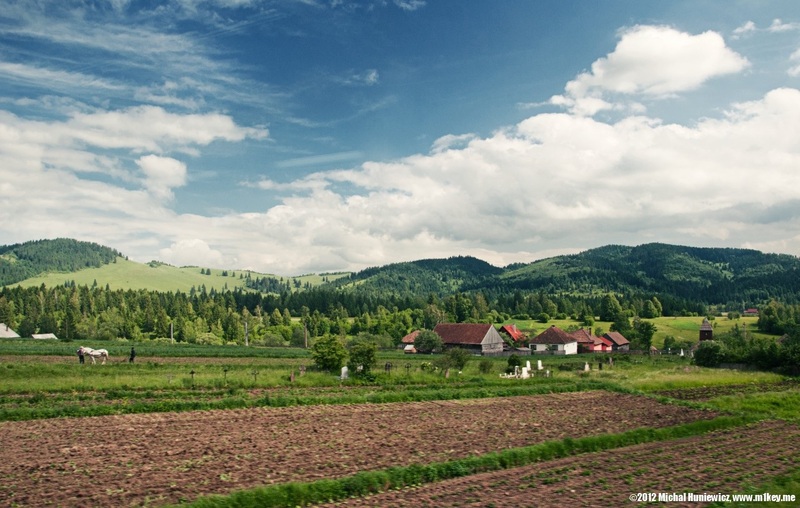 Transylvanian population today is over 7 million people. Most of them are Romanian (75%), but there is also a sizeable Hungarian minority (almost 20%). There are Roma and German communities, too. While the Romanians, Hungarians, and Germans in Romania are fairly well integrated and intermarry, the Gypsies (Roma) have not assimilated and live in their own communities. Medieval streets of Sighişoara. 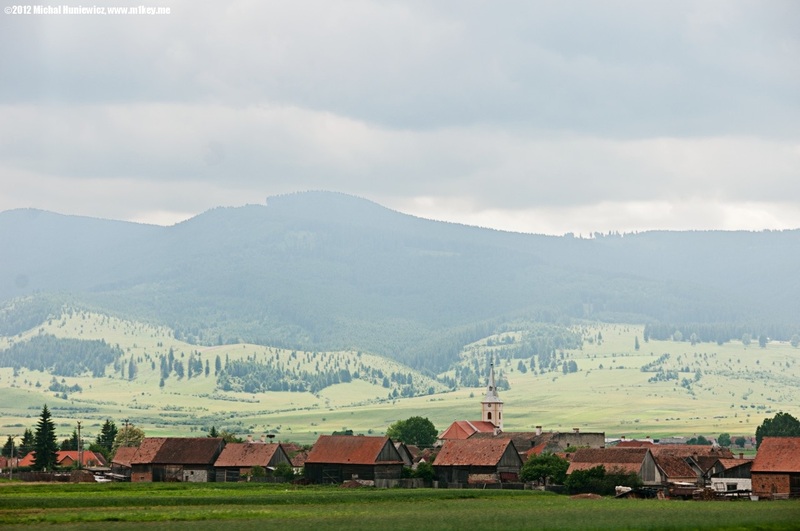 This (centre of the picture) is an example of a half hipped roof, very common in Transylvania (but also in Denmark, Germany, Austria, and Slovenia). It apparently provides more room in the attic while still protecting windows from pouring rain. 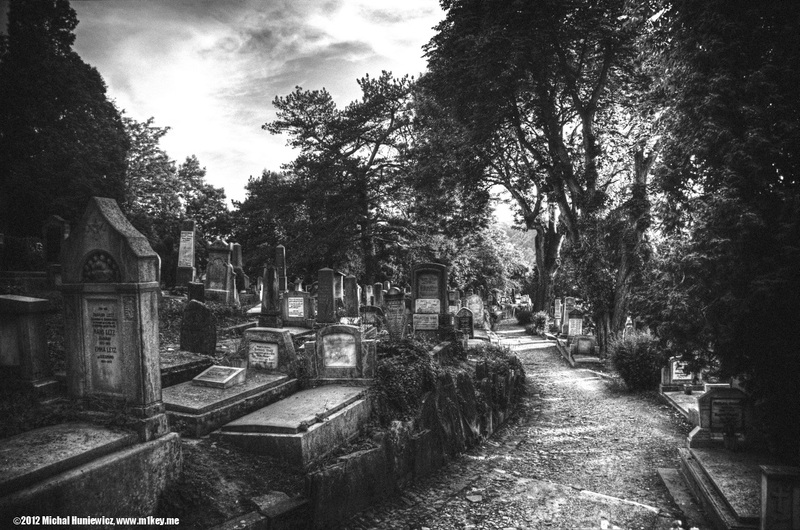 A covered staircase brings you up the hill where a church and this cemetery are. 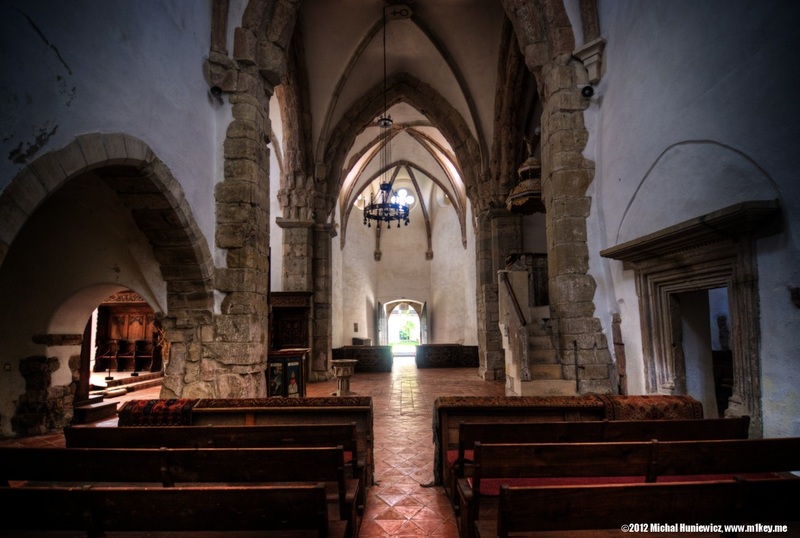 It is a Germany cemetery - German Romanians are descendants of Saxons (who were not necessarily from Saxony - they were from various German states) brought to Transylvania in the 12th century by the King of Hungary to defend the frontier of his realm. In the church on this hill there are catacombs that you can visit. I met some rude people there and locked them in on my way out (true story). It's worth mentioning that in Romania (and in other parts of Eastern Europe) garlic was placed as a wreath on coffins, and cloves were often stuffed into the mouth of the deceased to prevent the corpse from turning into a vampire. Contrary to common beliefs, vampires do exist in Transylvania, but now they are involved in local politics. Romania is a country with almost no democratic traditions, and its transition from a cult-of-personality-communism to democracy has been painful and difficult. And it's still not complete. Voter turnout is very low (only one young person I asked about it voted in the last elections); most people (over 60% in a 2000 poll) look back at communism with sentiment and believe it was the best time for Romania in the last 100 years. Politicians are seen as a separate caste and are despised by everybody else, even though they are democratically elected and anyone can become one. 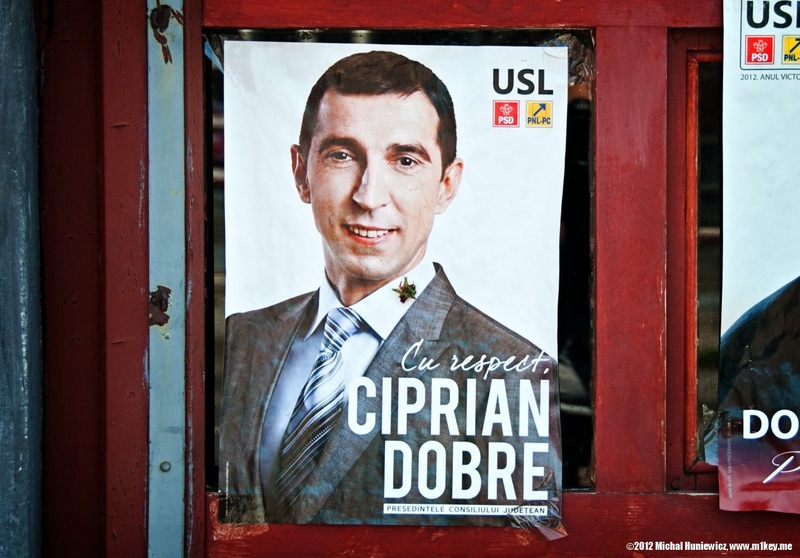 Ciprian Dobre succeeded in the elections. 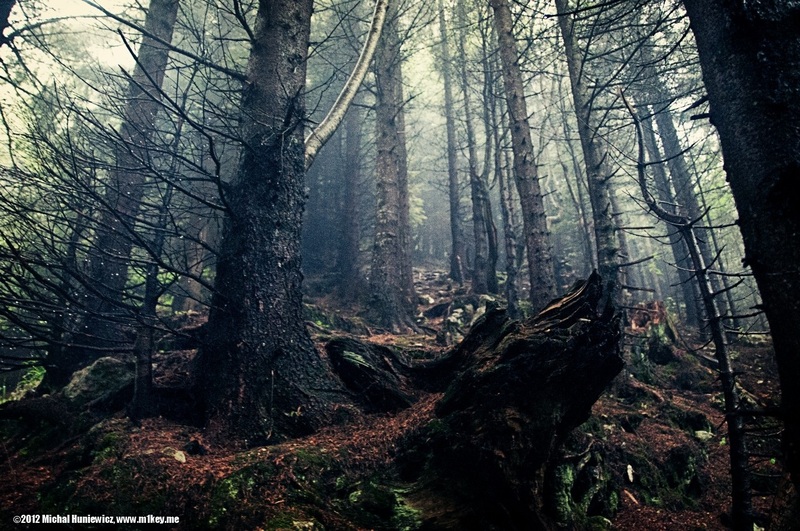 It turns out that Transylvania doesn't look spooky at all. There are many beautiful hills like this one. Taken from a train. 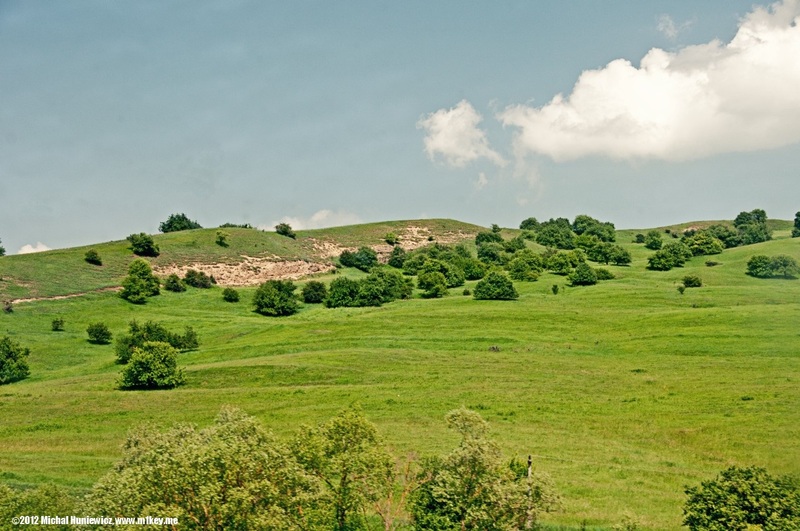 The botanist Dr John Akeroyd said that Transylvania is 'the very last example of an untouched medieval landscape in Europe'. 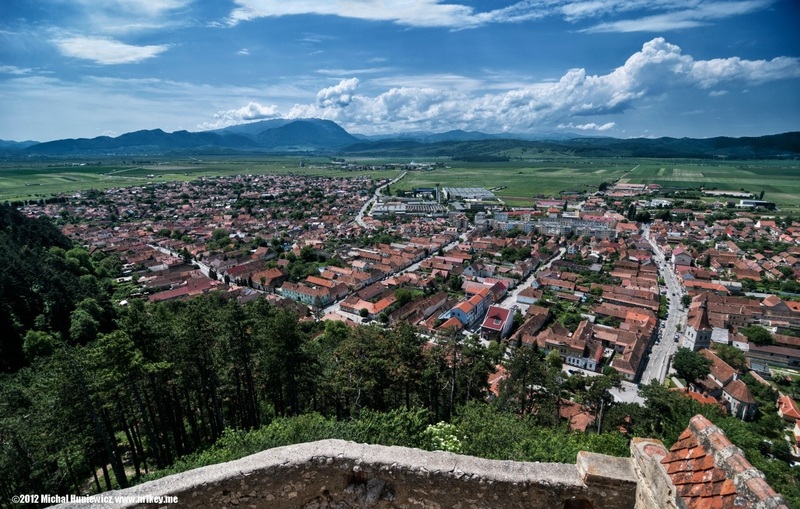 Brașov was founded by the Teutonic Knights in 1211; Saxons settled there in 1235. The city has a good location, being surrounded on three sides by mountains. This is Piaţa Sfatului (Council Square). 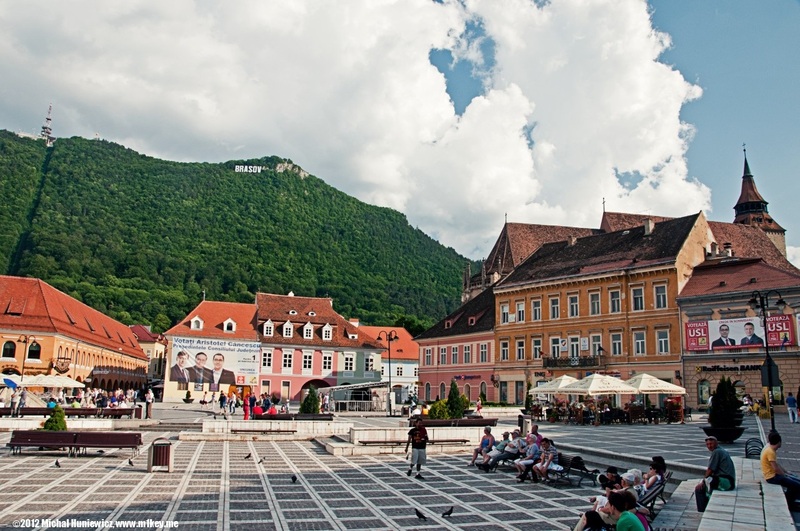 Over 220,000 people live in Brașov, making it the 8th most populous city in Romania. It has a cosy and relaxed feel to it; there are many people doing sports, and the medieval city is well preserved. You can take the cable car (left hand side of the picture) for the views. The square used to be a market, but also a place for public executions and punishments. The Council House seen on the left hand side is from 1420. What you can see in the picture is the Old Town. The new, communist part of the city (I'd call it 'little Poland') is grey and ugly like anywhere else in this part of Europe. West of the Old Town there is the Schei district, where in a small graveyard I met a cheerful gravedigger, who explained his job using rather gruesome body language. 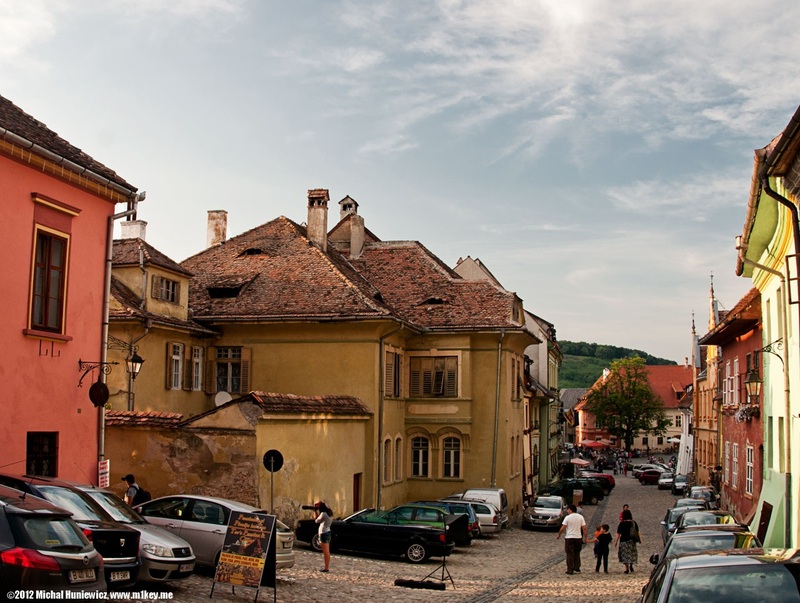 While this part of Brașov was originally inhabited by the Saxons, Schei was were the indigenous population lived - and the latter were not even allowed to enter Brașov, unless they paid a toll. 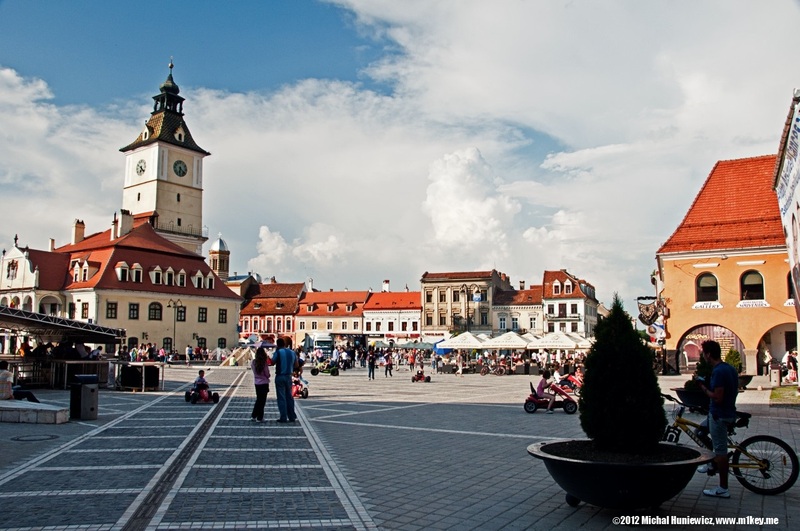 One of the reasons why Vlad Dracula was loved so much, was that he humiliated the wealthy Saxon population - in fact, Brașov was besieged, taken, and a lot of people ended up impaled on the stakes. 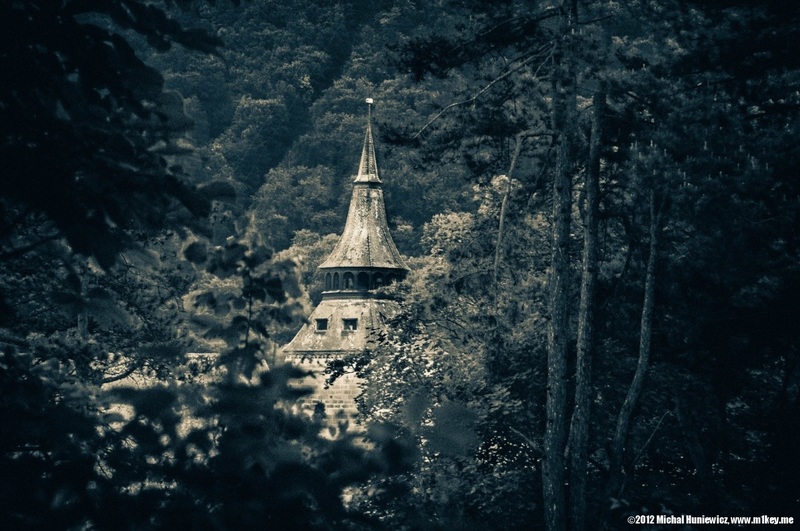 The steeple of the Black Church seen between the trees; taken outside the old city walls. 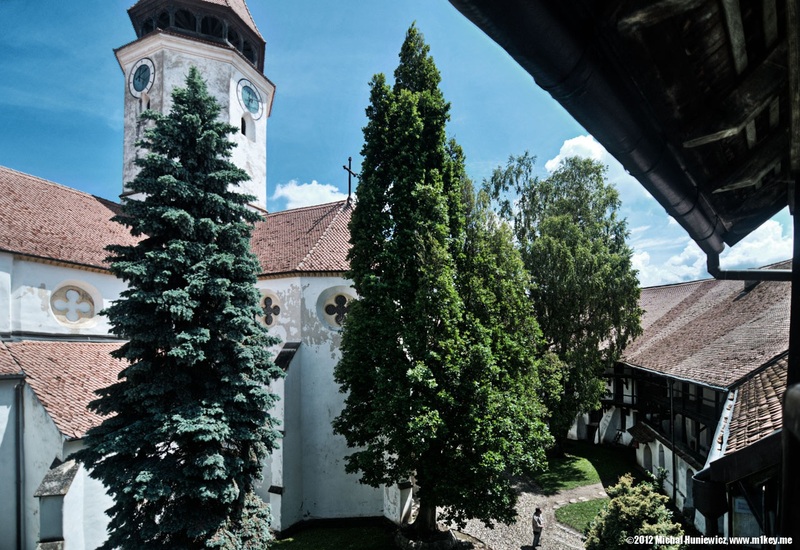 The church is a 14th century Lutheran cathedral built by the German (Saxon) community. It has a collection (119 of them) of Anatolian carpets donated centuries ago by Saxon merchants; sadly, you cannot climb the tower. Jews arrived in Romania during the Roman empire. They contributed a lot to Romania, but were only given citizenship in 1878 thanks to international pressure on Romania. There were many anti-Semitic events even before World War 2; during the latter most Romanian Jews were killed by the Nazis. After the War, during communist Romania, they were also persecuted, as was encouraged by the Soviet Union, and many emigrated to Israel. Brașov too used to have a large Jewish community, but today there are only about 200 of them left, including at least one who's come there from Israel and whom I had a chat with. 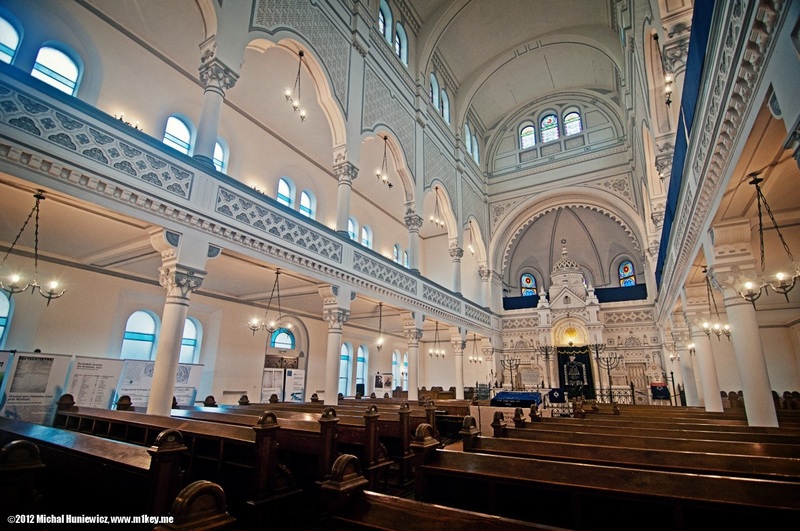 The synagogue was built in 1899 and is in the Moorish style, beautifully restored. 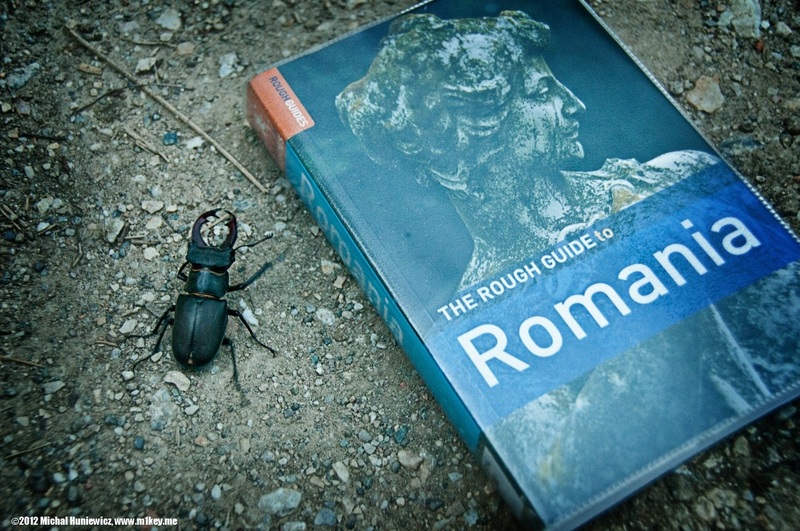 This, apparently, is a stag beetle. This one is quite big, but they can grow even more - up to over 12 cm. They can fly, too. 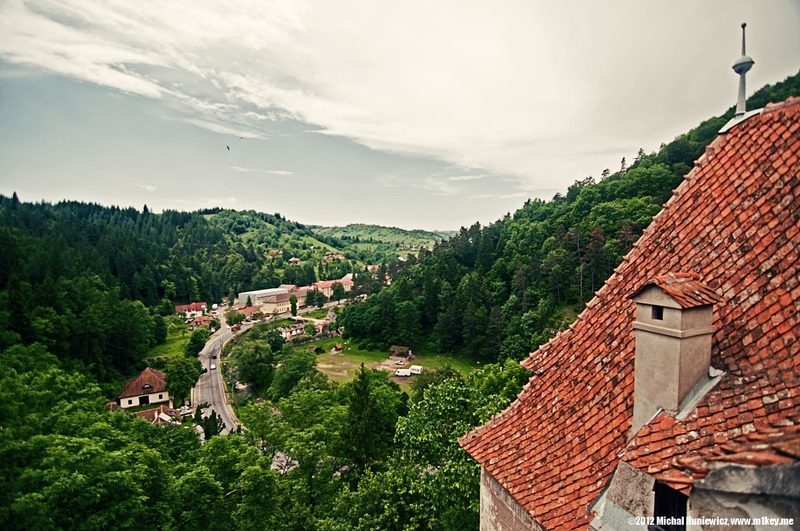 This is the Bran Castle, advertised as the Dracula's Castle, which it is not. Vlad III probably spent there a few nights as a prisoner, that's all. The castle was built by the Saxons in the 14th century. It has secret stairs and passageways, but today it is not at all spooky. 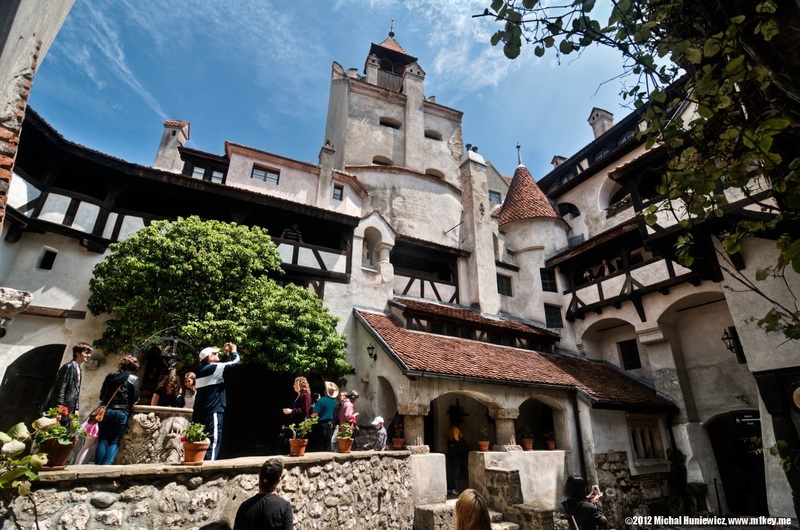 The courtyard of the Bran Castle. It may not look very tough here, but it was properly used in defence against the Ottoman Empire, and played a militarily strategic role up to the mid-18th century. I briefly introduced you to the Ottoman Empire in my Istanbul gallery. 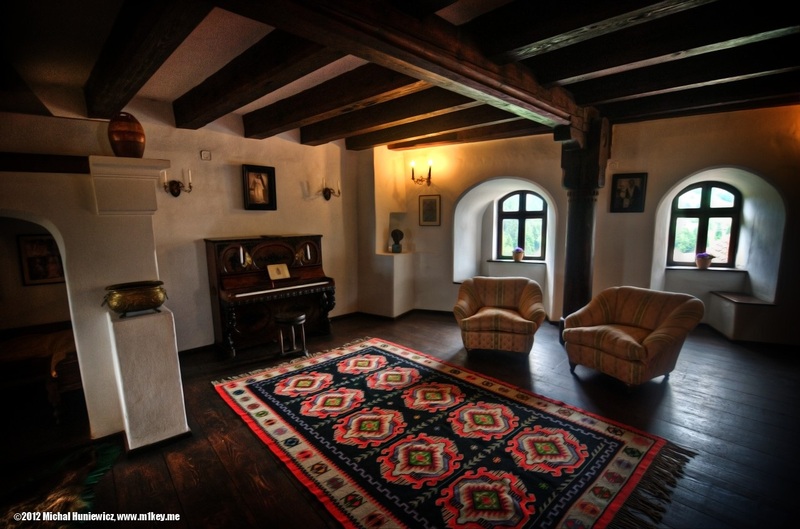 It was Queen Marie who, in the 20th century, turned the castle into a cosy place. 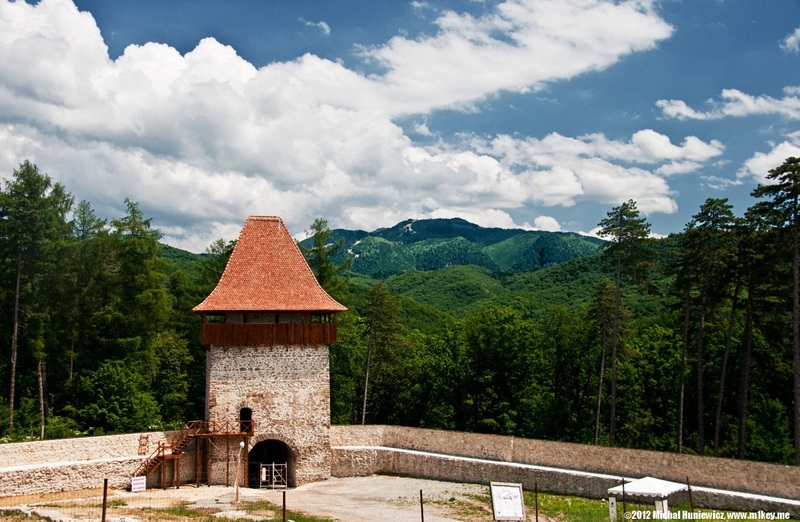 This is the Bran Gorge, on the border of Transylvania and Wallachia, which this castle used to protect. The town of Bran, seen from the castle. 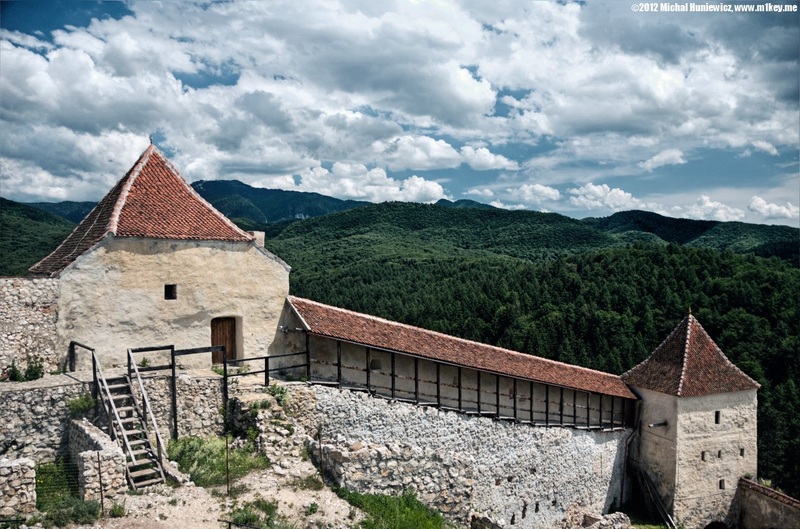 This photo was taken inside the Râșnov Citadel, called the peasant citadel, as it was built by the town's agricultural workers. The citadel was a part of a defence system for the Transylvanian villages exposed to outside invasions. In the unlikely event of an invasion, the inhabitants of the area had to seek refuge into the citadel, so it was turned into a dwelling. 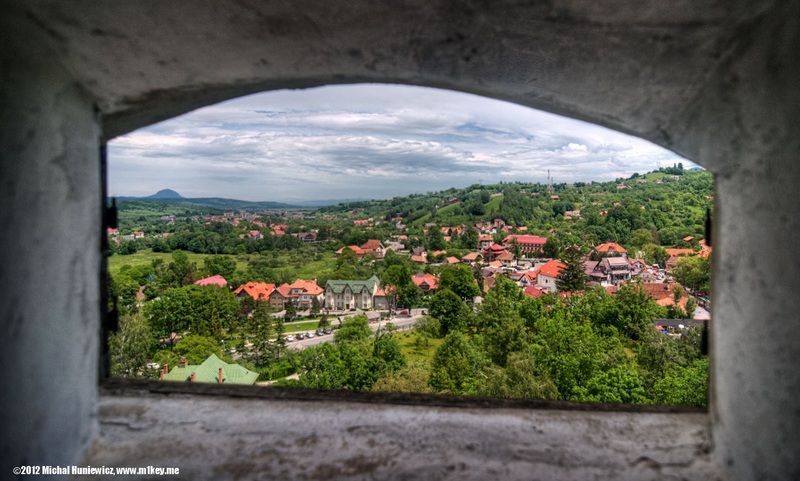 Overlooking the city of Râșnov. The citadel was only conquered once, in 1612. The fortress surprised me though. The guide book promised a museum and mentioned some legends (about two Turkish prisoners digging the well; a skeleton). Everything on the site was closed though (except for the shops), so I asked one of the employees about the skeletons and museums. She was clearly embarrassed and explained that all the legends had been recently made up to attract tourists, and that all the museum exhibits were not even from the site! Her honesty was very impressive. 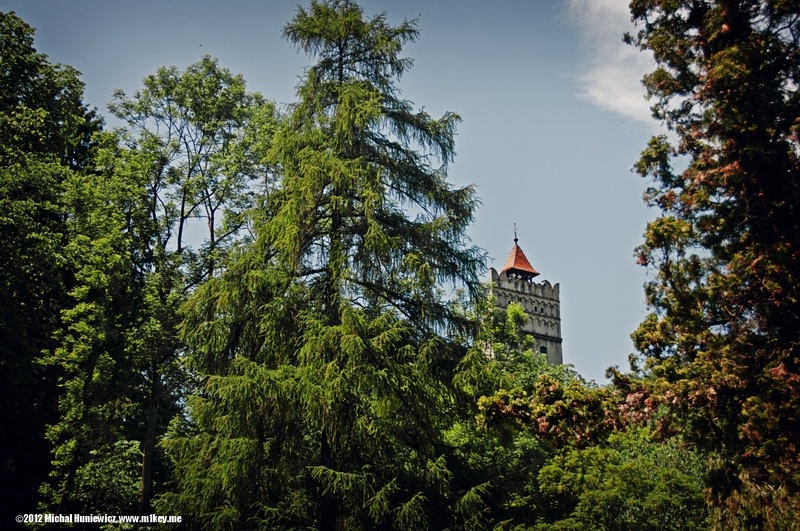 The exact same legends are attributed to the Hunyadi Castle (also in Transylvania). 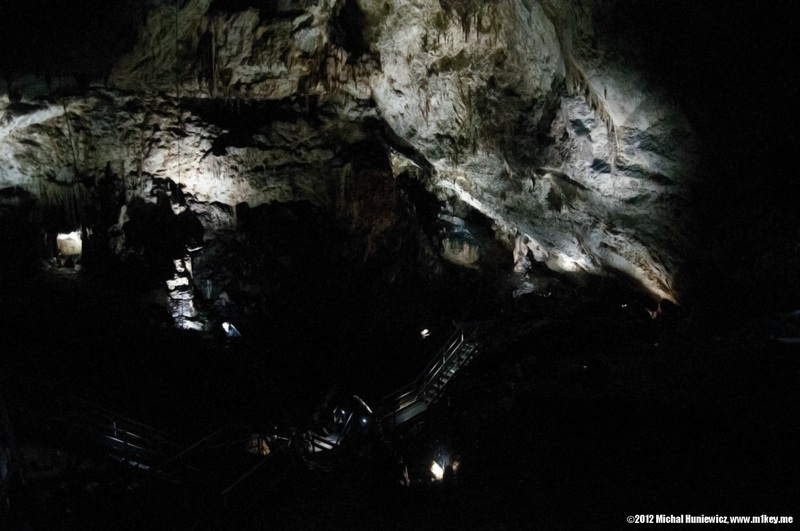 If you visit this cave, not far from the citadel, the guide will take you inside and then switch off the lights for a few moments, so that you can listen to water drops, in complete darkness. 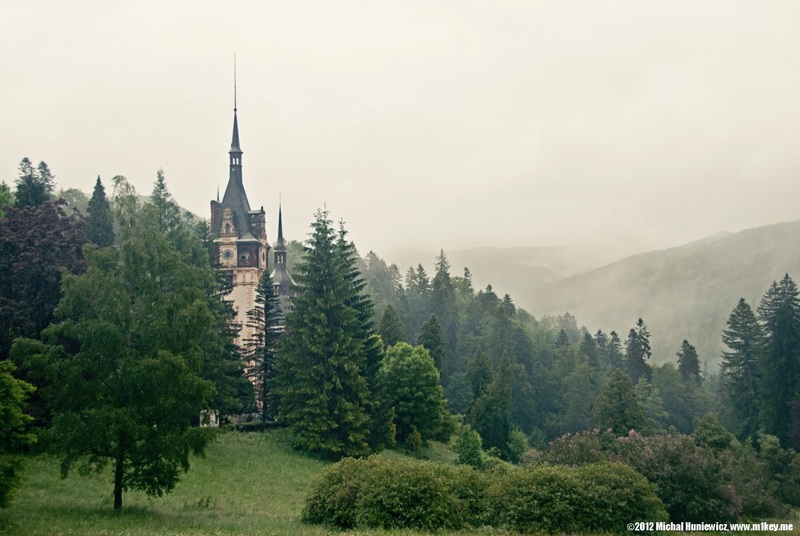 Peleș Castle, near the city of Sinaia, was built between 1873 and 1914, in the Neo-Renaissance style. Queen Elisabeth of the Romanians wrote: Italians were masons, Romanians were building terraces, the Gypsies were coolies. Albanians and Greeks worked in stone, Germans and Hungarians were carpenters. Turks were burning brick. Engineers were Polish and the stone carvers were Czech. The Frenchmen were drawing, the Englishmen were measuring, and so was then when you could see hundreds of national costumes and fourteen languages in which they spoke, sang, cursed and quarreled in all dialects and tones, a joyful mix of men, horses, cart oxen and domestic buffaloes. Sinaia seen from 1400m. The temperature there was 5C. There were some bear-warning signs there, so I headed down this road, making bear-attracting noises (I'm very good at that), but not one responded. The suggested soundtrack to this picture would be Tori Amos - Bells For Her. 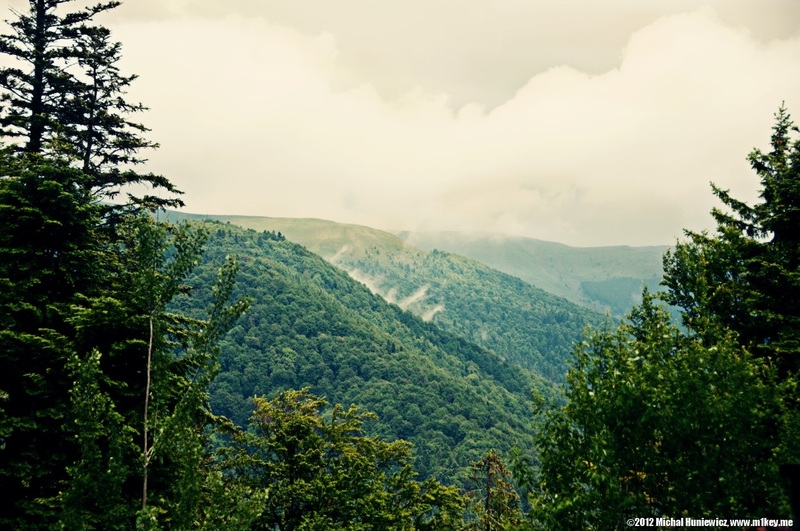 Near Sinaia. Sinaia is named after its monastery (called Sinaia Monastery), which in turn is named after the biblical Mount Sinai, which location is unknown, but the Romano-Jewish historian Titus Flavius Josephus suggested it was within Arabia Petraea, where Petra is, which I showed you before. The Monastery was named after the mountain because a local nobleman undertook a pilgrimage to the traditional Mount Sinai, the one in Egypt. Interestingly, this is what bobsleighs used to look like. This is the fortified church of Prejmer. 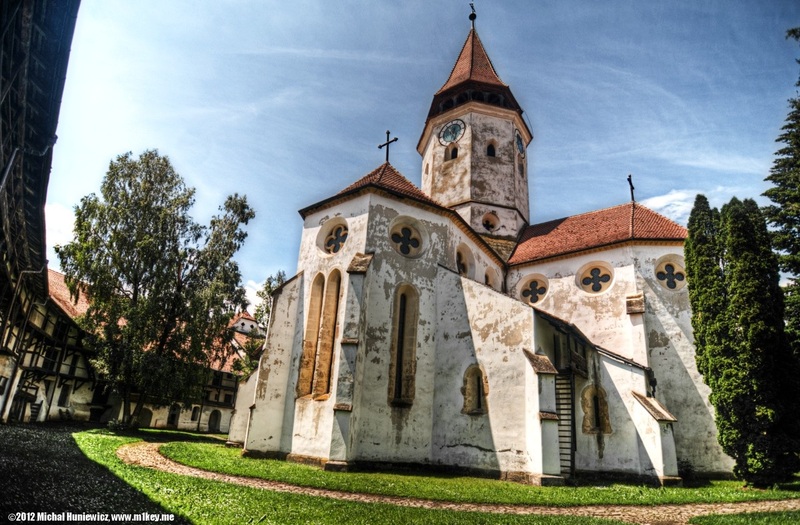 Transylvania is famous for its fortified churches, and this one was the eastern-most settlement of the Transylvanian Saxons. Prejmer was repeatedly invaded throughout the Middle Ages by various groups, including the Mongols, Tatars, Hungarians, Ottoman Turks, Cossacks, and Moldavians. However, it was only captured once, by Gabriel Báthory in 1611 (he also captured the Râșnov Citadel). The church itself is apparently modeled after churches of Jerusalem. Have a look at my pictures from Jerusalem, if you wish, and maybe you'll figure out which one. The inner yard, and the church entrance. Can you climb the tower? No. Notice the honeycomb-like wall. Apparently, every family had one small room with the number corresponding to their house number, where they could find shelter if the village was attacked. Otherwise they used it for food storage (there are as many as 272 individual storage chambers). And this is inside the church. To my surprise, there was a small memorial dedicated to German soldiers from both World Wars - I didn't know such memorials even existed. The German community fled the village during WW2. 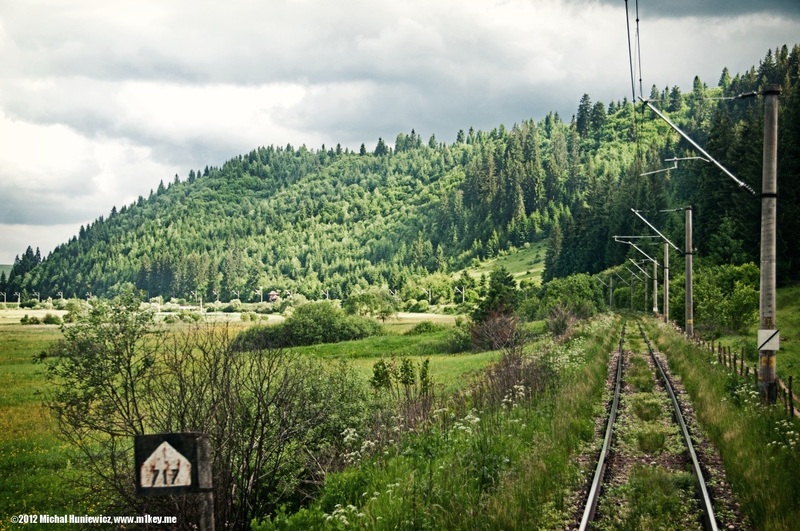 Trains in Romania are comfortable enough (especially for someone hardened by the Polish trains), but unbelievably slow. 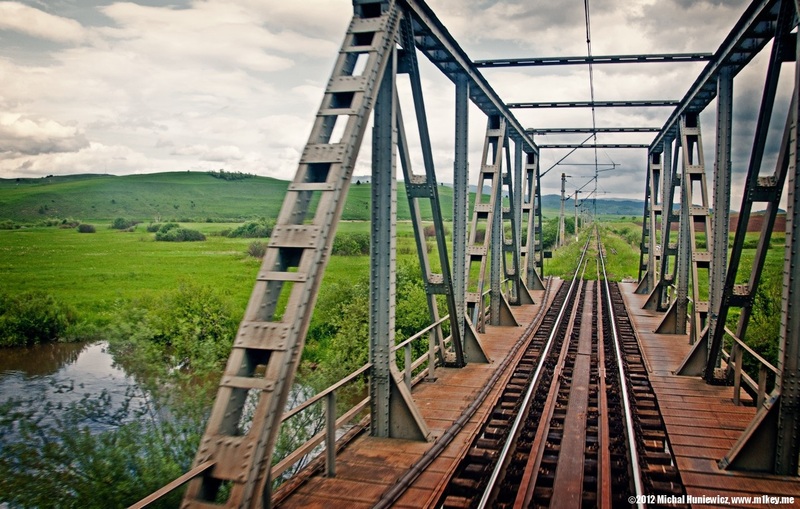 You can almost leave the train during the ride, go for a walk, and come back. An unidentified village, seen from a train. When centuries ago different Christian denominations (especially the Catholic and Orthodox ones) competed for believers, they would accuse one another of founding graveyards on unholy ground, which would produce, of course, vampires. The Vatican recommended that suspected vampires should be exhumed and burned. 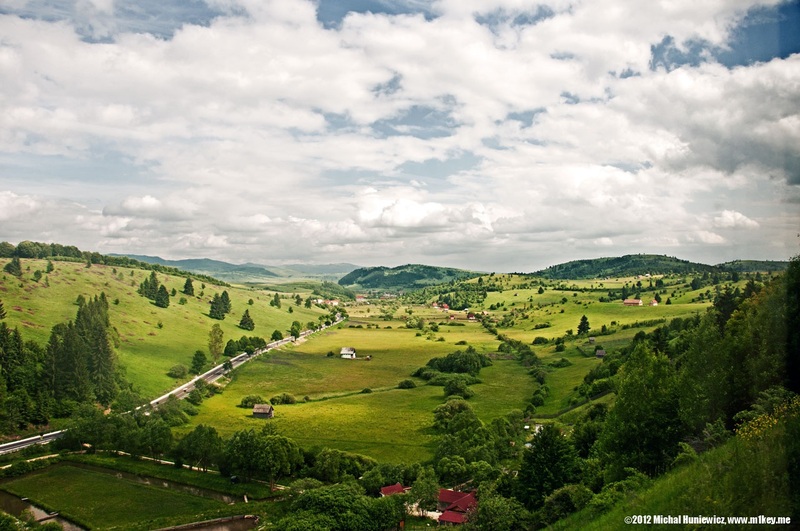 No other country in the world has a larger Gypsy population than Romania. They probably came from India (judging by their language, music, caste system, love for gold, but also... socialising in communal defecation), and were first brought to Romania as slaves when purchased by Vlad Țepeș himself, and they only ceased to be slaves in the 19th century. While the European Abolitionist movement in Europe despised American slavery, no one cared about the Gypsies, as pointed out by the Romanian statesman Mihail Kogălniceanu. 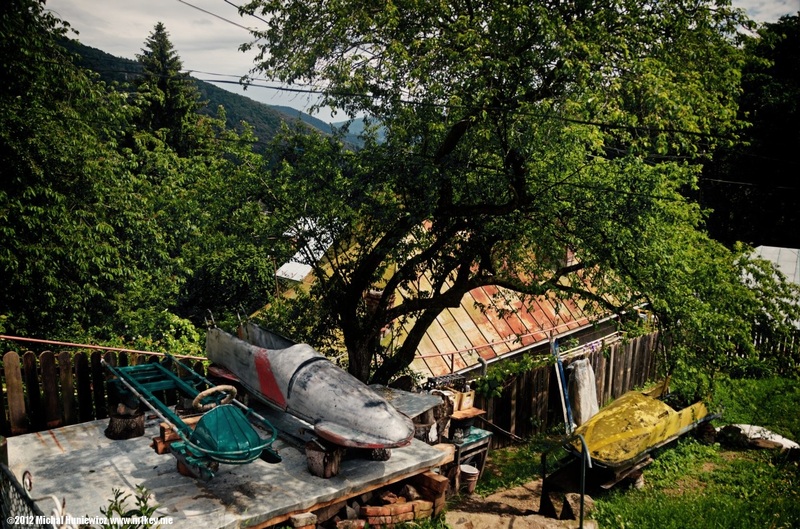 After communism in Romania collapsed in 1989, anti-Gypsy violence became widespread, in which many Gypsy houses were burnt, and some Gypsies killed. 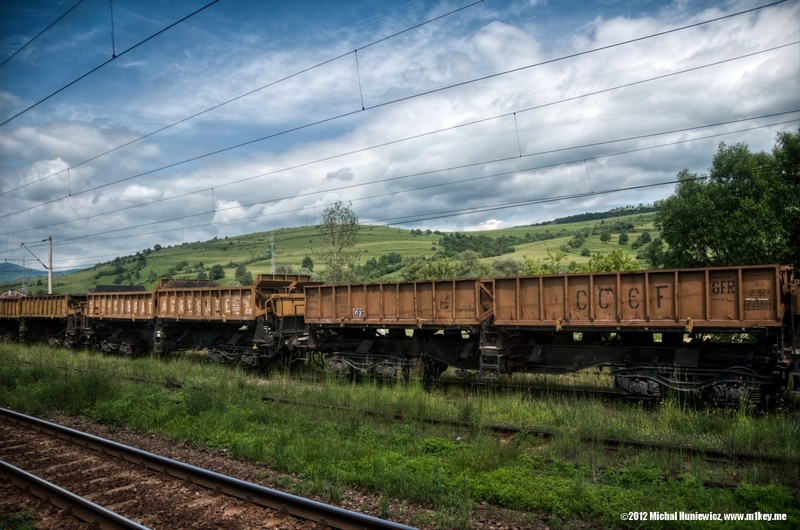 The scenario was usually similar: a crime committed by a Gypsy would cause retaliation on a large scale, condoned by the Romanian government. Romania is by no means unique in this: Gypsies have been recently treated badly in many European countries, including Italy, Poland, Czech Republic, Hungary, or Austria, to name a few. In fact, just as Jews they have been the usual scapegoats for centuries, blamed for various crimes, including spying, children-related crimes, and even cannibalism. 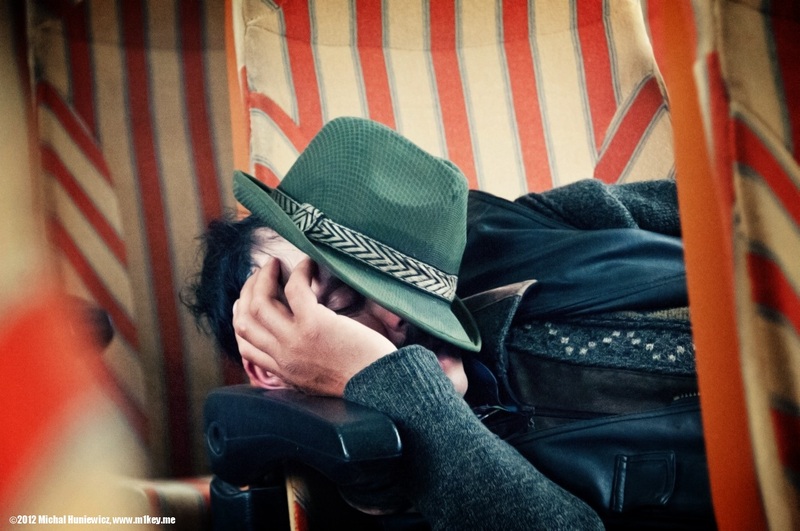 What's more, in most Gypsy-aware countries Gypsies themselves are not particularly popular. The word Gypsy has made it to different languages as a verb or noun, and it usually has a pejorative meaning. Romanian țigan - to rip off; Serbian ciganiše se - to shamefully negotiate the price; English gyp - a cheat, a rip-off; Polish wycyganić - to illegally obtain something from someone; Spanish gitanear - to cheat. After Romanian violence against the Gypsies in the nineties, many of them left the country, seeking refuge in other European countries, often begging and holding a sign saying, to non-Gypsy Romanians' horror, Help me, I'm Romanian. Therefore in those European countries the word Romanian acquired an almost identical meaning as Gypsy, and beggar. It has only begun to change recently, and the Romanian Ministry of Foreign Affairs intervenes when Romania is shown in bad light. Nobody wanted those Gypsies though, and Germany paid Romania dozens of millions of Deutsche Marks, just to accept them back. 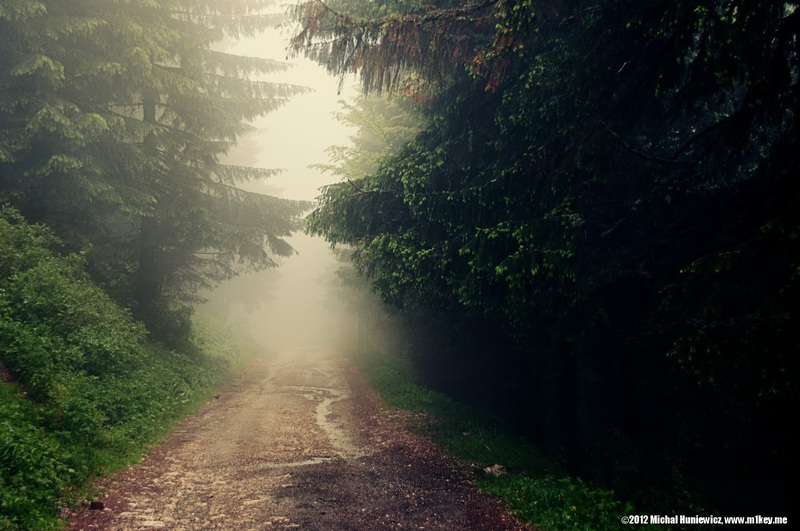 In 2010, France, frightened by incoming Romanian Gypsies, sent hundreds of them back to Romania. Why are they disliked so much? The Gypsies have never assimilated, and never wanted to. They are usually poorly educated, depend on state benefits for survival and don't pay taxes. They ignore local laws, and perhaps the best example of this is young Gypsies getting married at the age of 13. Their neighbourhoods are considered unsafe, and Gypsies themselves are thought to be not trustworthy. While the Jews have been persecuted at least equally, they managed to build their own country and become respected citizens (and receive hundreds of Nobel Prizes). Nothing like that has occurred with the Gypsies, although some dream of their own Romanistan (and one Gypsy has received the Nobel Prize). Generally, they seem to disrespect the gadje (non-Gypsies), who usually have little sympathy for them in return. There are, however, countries where the Gypsies did contribute to the culture, and one of them is Spain - see flamenco. The doors suddenly opened and I almost fell out of the train. Another unidentified village, shot from a train.